Kat and Karl : Weekend Agenda!! Tonight we are going to Mary Kay's and Rea's for dinner. Or i should say a dinner party. because it is a party. for real. Kim is in town from Fayetteville with the boys, Fischer and Simeon. Christy and Carter are here from California. Karl's sister Kristen and her husband Henry are coming in town with their kiddos Kelly and Tyler from Oklahoma. The main celebration is tomorrow: kelly's third birthday! we bought her some cool dora the explorer toys. i heart dora. growing up what girl role models did we have? She-Ra? Not that she wasn't fun (i am not going to lie, I had she-ra bedsheets and I dressed up like her for a few halloweens.. i should find that pic and post it!) She was cool. But she was He-Man's twin sister CREATED after him! I couldn't even find a she-ra website. it was all on the he-man website! point: dora is way better than she-ra! Have a good weekend! Look for some fun family pics tomorrow! 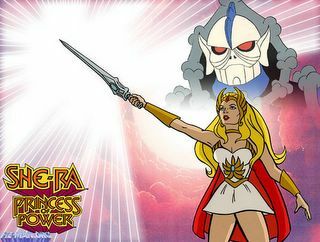 I just read this, and you are dissing She-Ra. I am appalled. After everything that you and she have been through. All of the times that we wanted to be as powerful as her...disgraceful!